When a new hop variety hits the market, it can take a year or two of trial and error before a brewer finally creates a beer that best expresses the new variety. But all that work pales in comparison to what goes into cultivating a new hop in the first place. Curious about the backstory of the new tropical-fruit-scented Citra hop, which is popping up in Sierra Nevada’s Torpedo Extra IPA and Widmer’s Sunburn Ale, we asked Jason Perrault, VP of research and development at Select Botanicals, and a fourth-generation hops farmer and breeder in Yakima, Wash., to give us the dirt on how he and his company brought this intriguing hop variety to life. Imbibe: How do you decide what you’re looking for when you’re creating a new type of hop? Jason Perrault: We try to assess what the brewing industry’s needs are, then we take a look at our selection of available parents and make crosses. Then we select the ones that meet the criteria we’re looking for. Imbibe: How long does it take to finally come up with a new variety worth putting out in the market? JP: It’s a very long process. In year one, we select the parents and make crosses. We’ll collect seed from those crosses and plant them in Year Two. Then we’ll look for any disease issues, like powdery mildew, and select for that. In years three, four and five, we’ll plant the remaining plants in the field and evaluate them. Do they grow well? Do they have the yield we’re looking for? What’s the aroma like, what are the alpha levels? The beta levels? After those three years, we’ll take all the data we’ve collected and make another round of selection. Those single plants we’re interested in will be expanded in the field, from 10 plants to an acre or more. Then we evaluate for three more years (years six, seven and eight). Then we make another round of selection. At that point we’ve developed what we consider an elite line. We put them in another field test. We do some brewing tests so we know what they can contribute to beer. There will be a three-year evaluation period, but we’ll be expanding plantings as we go if we see they have a lot of potential. 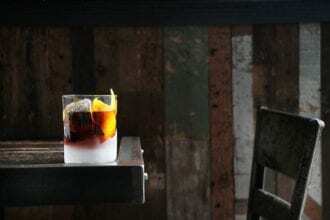 Imbibe: Do you test-brew all of the crosses? JP: Testing every one isn’t really feasible—in a given year we might have between 20,000 and 50,000 genotypes in seedlings alone. I work with a lot of homebrewers. Maybe I only have a few ounces that come from a single plant, but it’s an interesting hop. We can hand it off to a homebrewer and say, ‘Let me know what you think.’ Plus, we usually get some free beer out of it. Imbibe: Do brewers immediately jump on a new hop? JP: It’s very subjective, so it could be another five to 10 years before it has widespread commercial acceptance. Imbibe: So that’s a total of about 11 years of breeding and selecting to finally come up with a new hop variety. Is that how long it took for the Citra hop? JP: The Citra hop resulted from a cross made by Gene Probasco back in 1990. It went through the typical selection process and was fully tested after 10 years. The balance of the time before it was released in 2008 went into the commercialization process—brew tests, marketing and other steps we take for the hop to gain commercial acceptance. In other cases, such as super alpha varieties, this process can happen much quicker since acceptance is based more upon quantitative versus qualitative factors. But the Citra has such a unique citrusy tropical fruit aroma it took longer. That aroma might not work for some brewers, but it can be really good for a brewer who wants to set himself apart. Imbibe: Is that who you develop these varieties for? Craft brewers who want to stand out from the crowd? Or do you develop them for the big, corporate breweries too? JP: We’ve increasingly put our efforts into brewing for the craft industry. The craft market is becoming a significant portion of the industry and it’s growing. The macro market is in decline. It’s a reflection of consumer demand and where the thriving interest is. Imbibe: How is developing hops for the craft market different than for the big guys? JP: With the international hop market, it’s more about high alpha levels (the bittering components) and efficiency. For the craft industry, we’re also looking for the uniqueness (in flavor and aroma) that we find in American craft beers. We’d like to see the variety of hops available reflect the variety in the beers themselves. 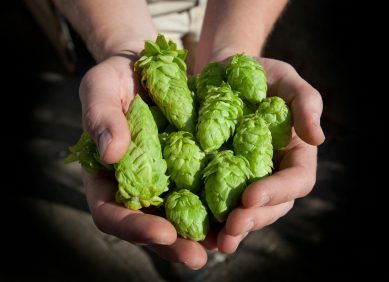 Imbibe: Even though it took almost 20 years to develop and release the Citra hop, will you keep working on bringing more unique hops to the market? JP: Unique hops such as Simcoe and Citra have been met with such positive enthusiasm, and that’s our motivation to be even more aggressive in our pursuit of the next breakout hop. The aromas and flavors from hops are so varied and complex, I think we’ve just barely scratched the surface. A little bit of sherry goes a long way in this velvety soup from the new Food52 cookbook.